We deal in Both terms CIF and FOB . 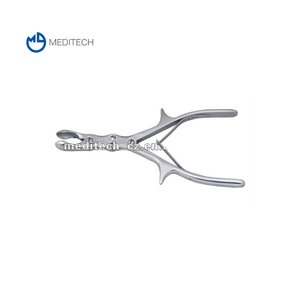 Our services jackbilly brand name Uses Stainless Steel surgical grade Custom Logo, Private Label welcome OEM Design Accepted Material and Finish Customization Possible COMPANY INTRODUCTION JackBilly Enterprises is a manufacturer and exporter of High quality Surgical instruments. 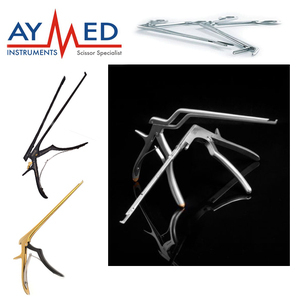 We are providing instruments made of AISI standard Japan or French Stainless Steel. Tags: Ruskin Rongeurs Double Action 6"
Zaryab Instruments are supplying outstanding quality of Products to our client. 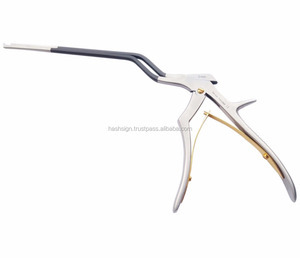 Zaryab Instruments are well known company in the world of manufacturing. Zaryab Instruments are supplying our products in all over the world. Alibaba.com offers 1,990 bone rongeurs products. 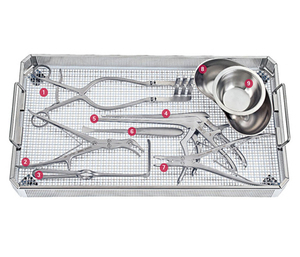 About 32% of these are obstetrics & gynecology equipments, 23% are the basis of surgical instruments, and 1% are abdominal surgery equipments. A wide variety of bone rongeurs options are available to you, such as free samples. There are 1,789 bone rongeurs suppliers, mainly located in Asia. The top supplying countries are Pakistan, China (Mainland), and Belgium, which supply 79%, 19%, and 1% of bone rongeurs respectively. 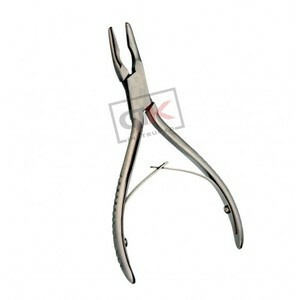 Bone rongeurs products are most popular in Eastern Europe, Western Europe, and North America. You can ensure product safety by selecting from certified suppliers, including 225 with Other, 169 with ISO9001, and 152 with ISO13485 certification.